This stunning Villa offers modern single level living, security and great privacy, located only a short stroll from Elermore Vale Shopping Centre. Lovingly cared for and maintained, it will please the most discerning buyer. * Great easy care home or investment all on one level. 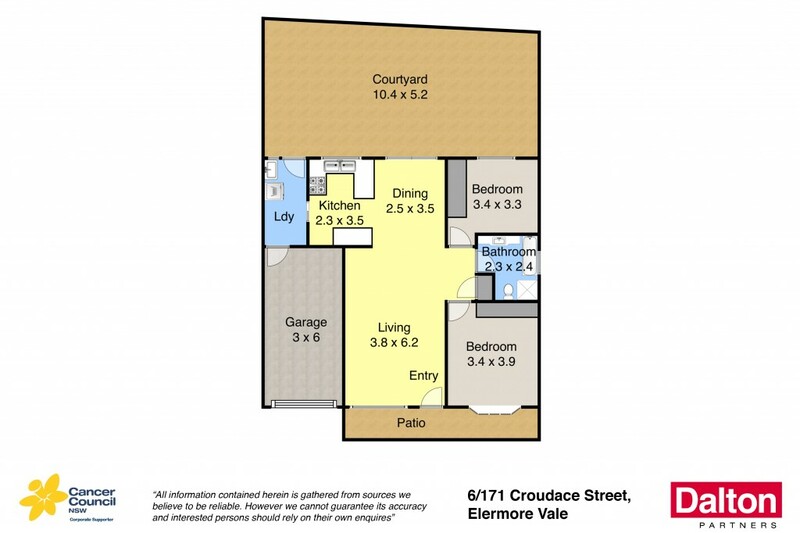 * Two sizeable bedrooms both with built in wardrobes. * Air-conditioned living and dining spaces, modern kitchen. * Fully tiled bathroom with shower and bath. * Private courtyard and gardens, internal access to garage. * Stroll to shopping, schools, parks and transport nearby. * Ideal home for downsizes, 1st home buyers or investment.